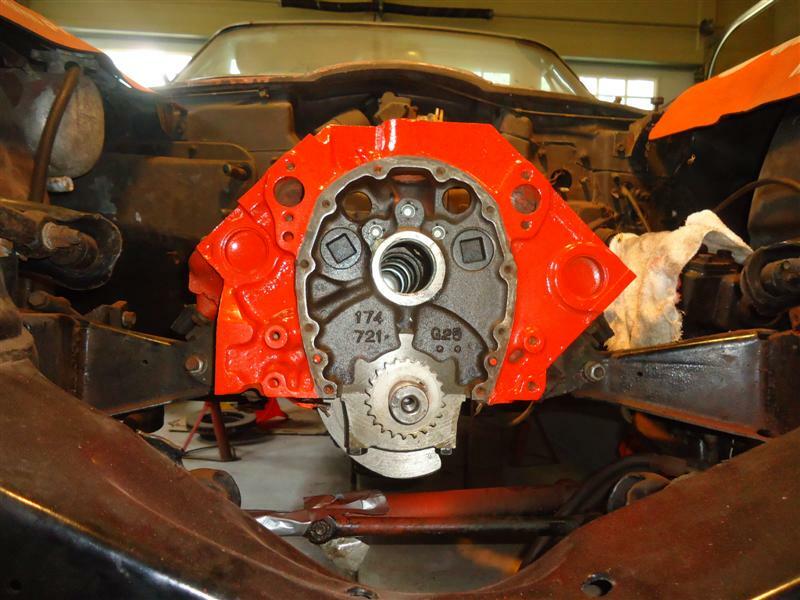 Produced from 1962 to 1969, the 327 Chevy small-block was available in many horsepower levels. Installed in Corvettes, power output ranged from 250 to 375 horsepower, depending on the choice of carburetor or fuel injection, cylinder heads, pistons, and camshaft. This 1966 Corvette engine has the L75 motor, rated at 300 horsepower. The original camshaft part number has been long discontinued and homogenized into GM #3896929, which is similar. Several companies, such as Crane, offer this in their blueprint line. After a bit of research, I chose the Melling MTC-1 cam kit, which comes with American-made Johnson lifters. The following stats show how close this cam is to the original. Intake Valve Lift: O.E. cam .390" vs Melling cam .422"
Exhaust Valve Lift: O.E. cam .410" vs Melling cam .444"
Clean and lube the new cam before installation. Most cam and lifter kits include a small assembly lube bottle. 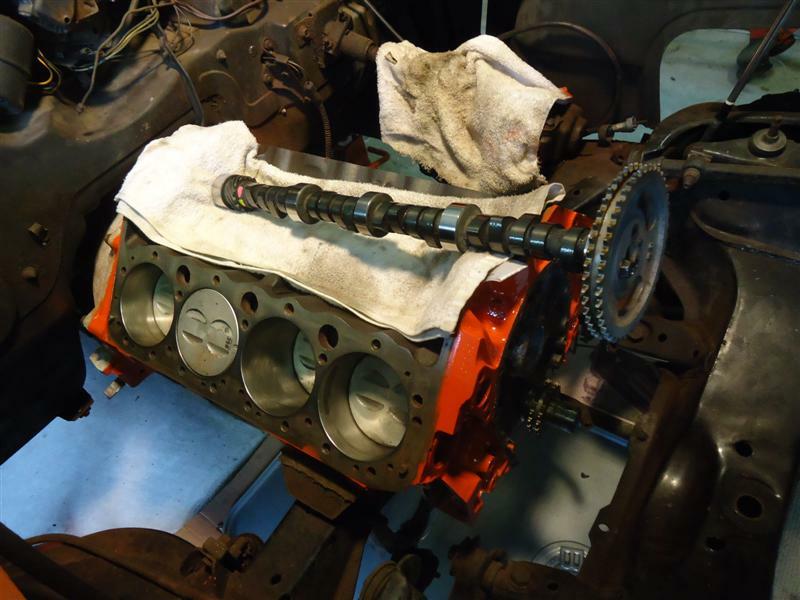 Coat the cam lobes, distributor gear, and fuel pump lobe completely, but not excessively. 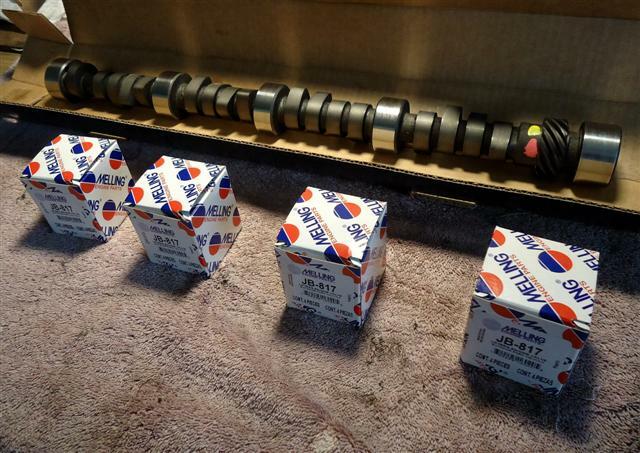 The cam bearing journals are lubed with conventional SAE 30W or 40W oil. Synthetic oil is not recommended during break-in. Just like during engine disassembly, I re-installed the cam gear with one hand-tightened bolt to use as a "handle" to help guide the cam into the block. Care must be taken not to nick the cam bearings. After the cam is in the block, remove the cam gear. 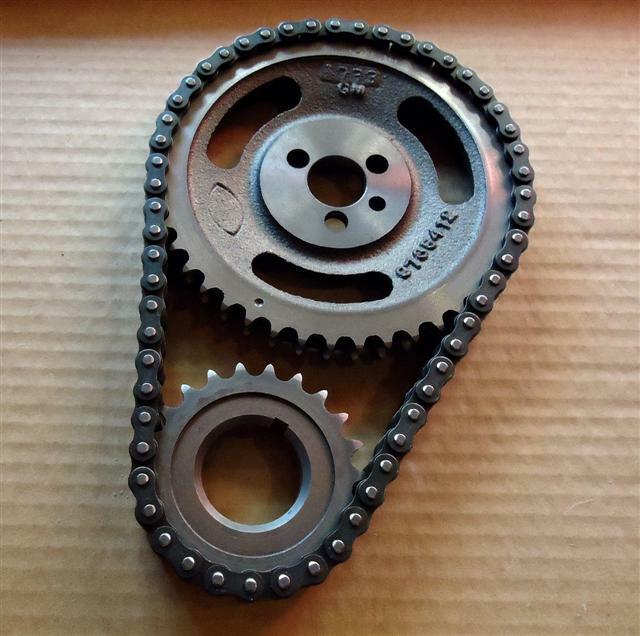 If you're not sure how many miles were on the engine, replace the timing chain. An old chain stretches and can alter engine timing. The three qualities of a good engine builder are patience, knowledge, and common sense. 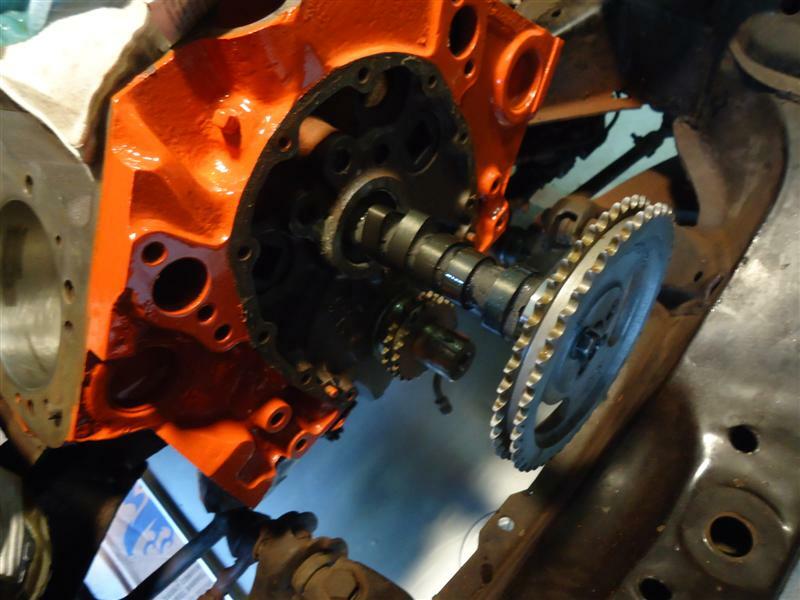 With the cam completely in the block, wrap the timing chain around the cam gear, and then under the crank gear. 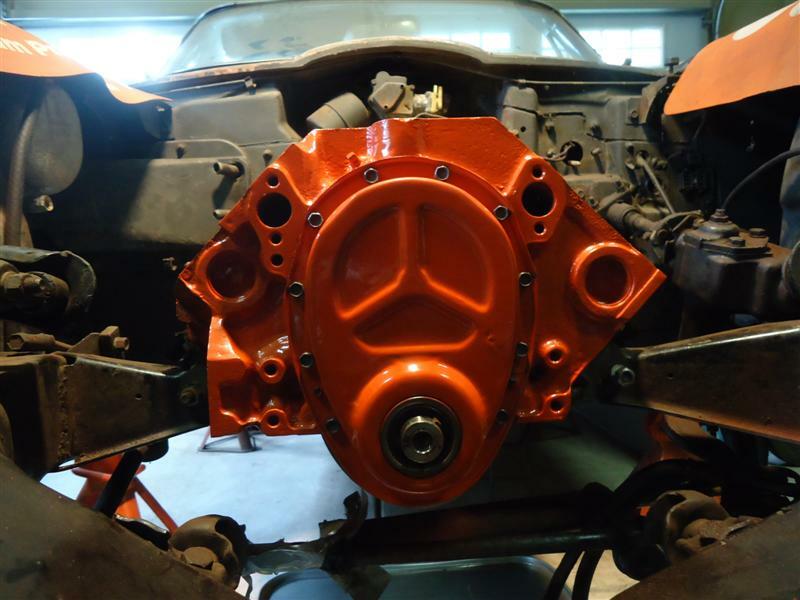 The small-block Chevy engine uses a "dot over dot" alignment. On the cam gear, notice the manufacturer's pre-marked timing dot, which should be at the 6 o'clock position. Rotate the crankshaft until the same dot on the crank gear is at 12 o'clock. This sets the engine's rotating assembly at Top Dead Center (TDC). The front drivers side piston will be all the way up in the bore. 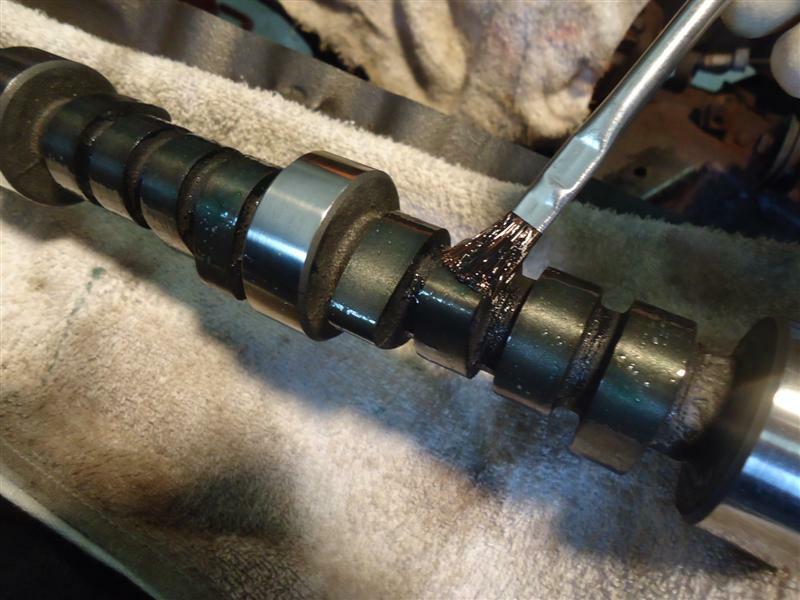 Bolt the cam sprocket to the camshaft. Make sure the sprocket is pulled up flush onto the cam. Double and triple check that the timing marks are positioned properly and according to the engine manual. With a socket and ratchet on the crank bolt, I backed up the rotating assembly slightly and then forward lining the dots up again, to make sure I was getting the most accurate reading. 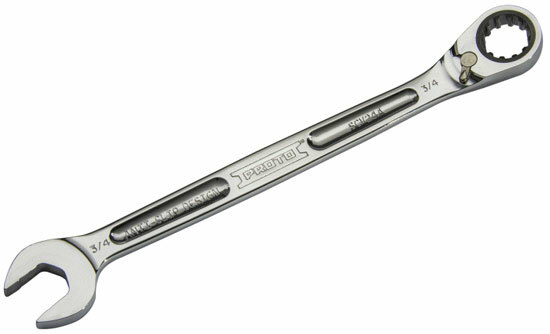 I put a dab of non-hardening sealant on the three cam-bolt threads and torqued them to the specified 30 lb/ft. This will insure the bolts remain torqued to the proper specification. A camshaft bolt locking plate could also be used. 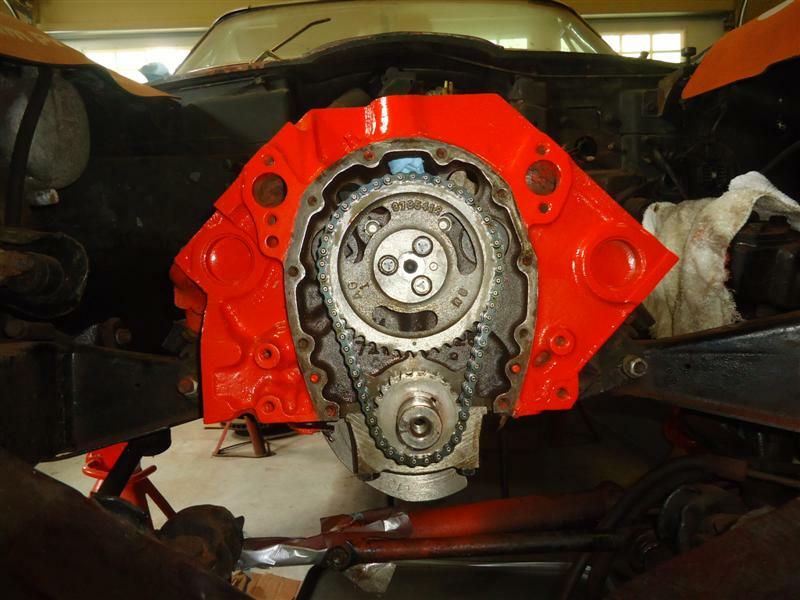 To complete the camshaft installation, the timing chain cover was re-installed. 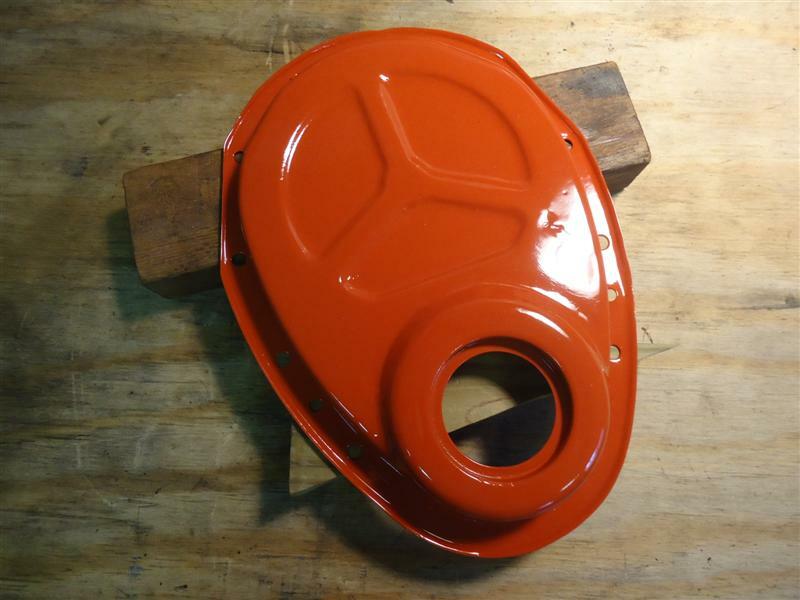 First, it was sanded to bare metal, treated with phosphorous acid, and painted Chevy Orange (no primer required). This is my timing cover seal "tool". 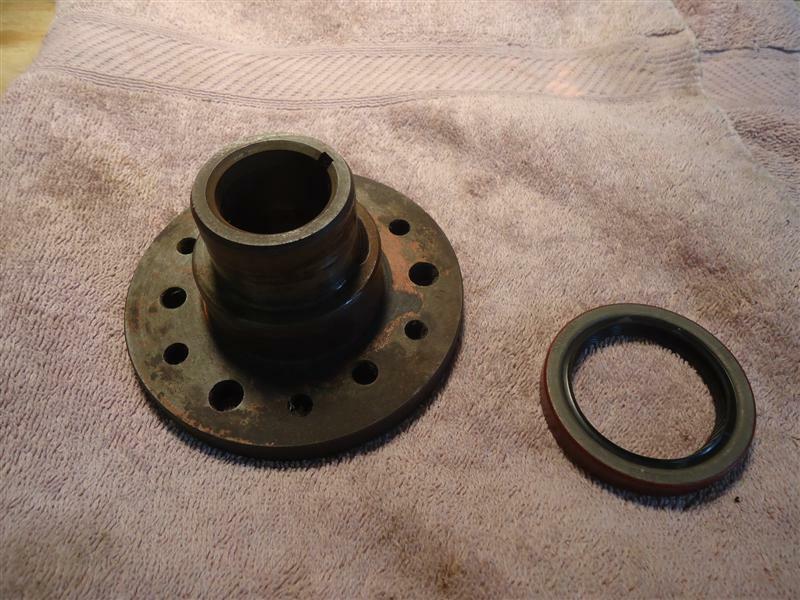 It's the hub of an old SBC harmonic balancer. Timing chain cover bolts require 7 to 9 lb/ft of torque, no more.